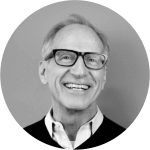 In his role as Vice Chairman, Jim is one of our most sought-after leadership advisers and consultants. He partners with top leaders to assess and develop executive team leadership capabilities and clarify their vision and values. He then integrates business and human capital strategies to guide them through culture change initiatives. Back at the office, Jim helps interpret client needs and experiences to develop and implement the company’s business strategy, as well as create new client-centered products and offerings. Four steps to prepare and guide you as you face today’s daunting business and life challenges. Four Dimensions that will unlock your hidden potential and lead a richer, more productive life. Five lessons from children on how to awaken your untapped creative potential. Rethinking how you can unleash the full potential of your team for world-class results. New Ways of Thinking, Being, and Leading That Expand Your Personal and Organizational Horizons.